Google’s open-source Chromium browser is the basis for many web browsers that aren’t developed by Google. Microsoft Edge for Windows, Brave Browser, and Opera are just some of the major web browsers running on the Blink browser engine (Chromium’s browser engine.) Although these browsers all run on the same engine, the features they support can be wildly different. Two features that are missing on nearly every Chromium-based browser for Android are bookmark and history syncing with Google and support for Chrome extensions. The former can be solved with a desktop extension, which is how Brave Browser and Samsung Internet offer Chrome sync functionality. The latter, however, is far more complicated because Google’s official Chromium builds for Android don’t support Google Chrome extensions. 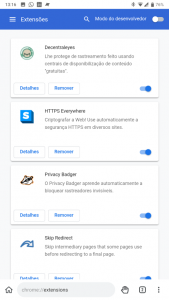 That hasn’t stopped XDA Senior Member arnaud42, the developer of Kiwi Browser, from adding Chrome extension support in the latest version of his browser. Kiwi is a speedy Chromium-based browser that popped up on our forums last year. 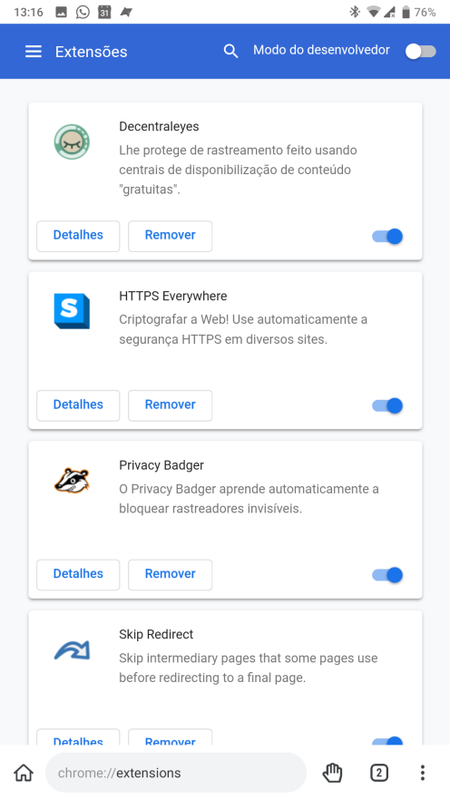 Developed by arnaud42, the browser has a built-in dark theme, ad blocker, bottom address bar, edge history swipe gesture, reachability button, and many more under-the-hood improvements. Now, the browser’s latest update adds support for importing any Google Chrome extension that doesn’t rely on x86 binary code. That means that not every extension out there will work, but many existing Chrome extensions should work just fine. 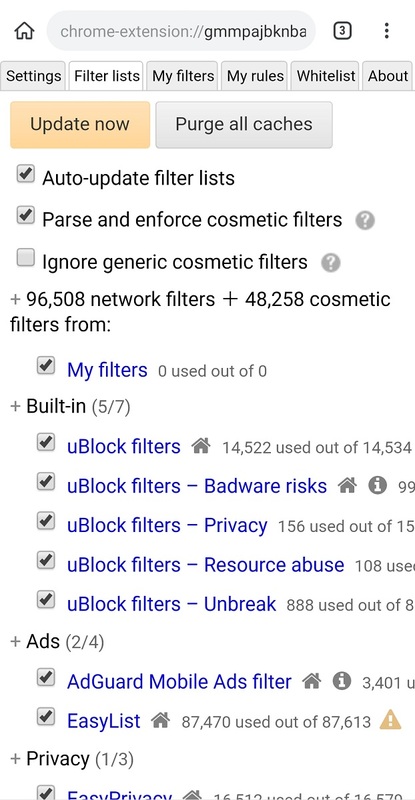 Extensions like Stylus, YouTube Dark Theme, Bypass Paywall, and even uBlock/uMatrix are working, according to the developer. You may even be able to install scripts from TamperMonkey/ViolentMonkey. 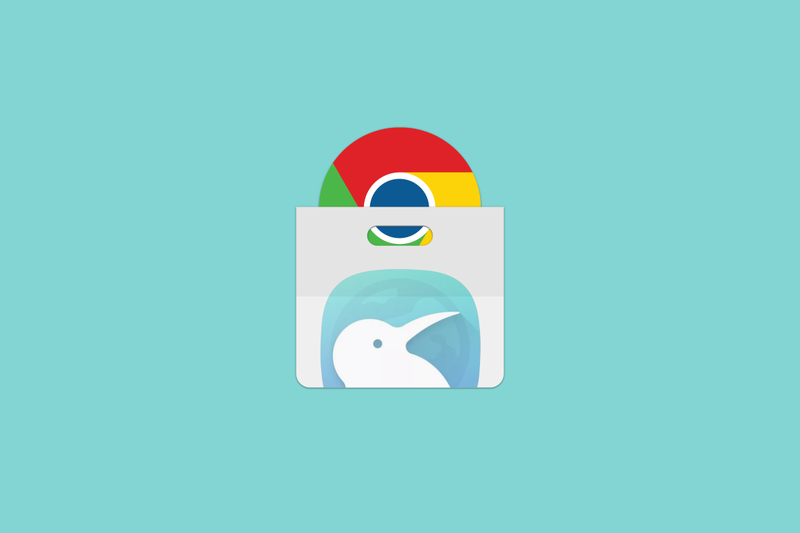 Kiwi is now the second Chromium-based browser to support extensions built for desktop Chrome after Yandex Browser added support last year. You can download Kiwi Browser from XDA Labs. Although the app is also available on Google Play, the developer is releasing the latest version as an XDA exclusive for 24 hours. In case you have trouble downloading it from XDA Labs, you can download the latest version from the developer’s GitHub page here. Open Kiwi Browser and enter chrome://extensions in the address bar. Navigate to the Chrome store on desktop mode. Pick the extension of your choice. Install TotalCommander File Manager. Other file managers may work, but Kiwi Browser expects a file URI which other file managers, such as the default app, may not provide when selecting the file. Download a Chrome extension file in the .CRX format. This website will help you out. Unpack the .ZIP to a folder using an app like RAR. Other archive manager apps may work, but I didn’t have success using MiXplorer‘s unarchive tool. Choose the manifest.json file using TotalCommander (TotalCmd file://). The extension should load, but it may not show up in chrome://extensions until you refresh the tab. If you encounter an error that says something about the _ character not being accepted at the beginning of a file, try removing the _ character from the beginning of the metadata folder in the extension that you unpacked. With the latest update to Kiwi Browser, it’s become a nearly perfect replacement to Google Chrome. All that’s missing is browser sync, which as we’ve seen already is possible to implement with a workaround. If you aren’t already using Kiwi, now’s a great time to make the switch. If you do, be sure to visit the developer’s XDA forum thread to give feedback.